Around two weeks ago, on 28th November, VectorLinux 7.0 was finally released after two years of work, or, as the developers put it in the release announcement, "nearly two years of blood, sweat and tears". We don't want to be disrespectful then. You can get a brief overview of features for the standard edition here and here. I've previously looked at RC2 in a longer review over on Muktware, so this is more meant as an addendum. The team have released the standard Xfce version and the corresponding live CD together, both with Xfce 4.8. Traditionally, Vector has also offered a KDE, a KDE live and a light edition, using the intuitive and very light on resources IceWM, so one can speculate that these are now not too far off either. There's also been SoHo and Deluxe versions with additional software, but some of these have to be paid for. Fluxbox is present as backup in this edition, in case Xfce is not light enough for you. One disappointment is that a x64 edition is still not ready, which was originally quoted as a reason for a need to rebuild this distribution from the ground up and has probably something to do with the long development. On the upside, it seems work on it is progressing and we may have a 64-bit release after all, just a matter of time. My earlier full review showed that the standard and the standard live edition are by all means extremely similar, same choice of packages, artwork etc., the only difference being that the live version can also be installed to hard drive, be used for testing and demoing and has a to USB installer, so there is no reason in my view to download the plain standard ISO image. It is 3 MB more than the non-live image, and at 699 MB just under CD size. Get the live ISO here, or the plain standard edition here if you prefer. The initial boot screen gives the choice of booting from hard drive, booting with all partitions mounted, several options to manually specify or probe for video, a good idea if I may say so given how many times in the past I have arrived at a blank screen with older releases, and the boring standard boot which worked well without any input. There some interesting and notable changes since the second RC, although I thought that is supposed to mean feature frozen. Anyway, the first thing you notice after booting up is a rather rich looking Xfce desktop with compositing desktop effects on, a slim Xfce panel at the top and Cairo-Dock at the bottom. Vector has always been a master in giving us a sleek and stylish, good looking desktop, they have obviously grasped that looks ARE important to many people when they choose a distribution, and first impressions go a long way. The panel though seems slightly thicker than I remember from the RC, and although this may aid visibility for some people, it actually does not look as sleek as before and that's a pity. The panel is set to automatically resize depending on the number of open windows and this constant redrawing quickly becomes irritating. Auto-hiding, which was set to on before, is also off now, and altogether it feels a little clunkier now. The second thing I noticed was that the issue with icon themes I noticed before has still not been sorted out. The default theme is Faenza-Cupertino, and as soon as you change to any of the other three included you get blanks in the Xfce Settings Manager. This could have easily been avoided by including the Faenza-Xfce icon set from xfce-look.org and setting it up to call the main theme as parent with the 'Inherits=' option as described further down that page. 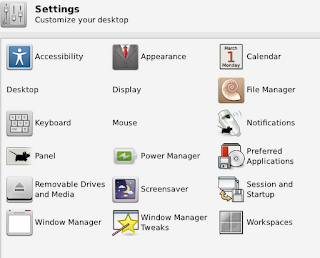 This would have covered all blank spots and by the way looked nicer as the people behind it made a great effort to create Faenza-style icons specifically for the Xfce environment. Lookswise you get many great GTK themes I have not seen before, with the default one called Fn Closure, and several MacOS resembling themes with the most extreme being Leopardish. Clearly there are more distribution creators in love with the Apple look than I thought. This theme looks horrible though with the default 28 pixel sized panel, and resizing it to the 22 pixels I think it had during RC stage was far better, as otherwise the size of buttons and the panel don't align, which is making me think there were some last minute changes here that whose implications were not properly checked out. You also have cute Alphacube window manager borders with glowing buttons at mouse over by default, with several 'lite' grey buttoned and slim border alternatives available that are lighter on the eye if all that pulsating color is too much. Several wallpapers in addition to the usual Xfce backdrops are here, including some old time favorites that go back a long way like Vector-Claws and Enlightenment, but most are heavily branded with a clunky, unwieldy VectorLinux logo ruining some beautiful backgrounds. Seems like a distribution made for metal heads. The kernel version has changed. Whereas the RC still came with kernel 2.6.37, the same as the latest one in Slackware stable, Vector 7.0 Final now ships with kernel 3.0.8. You get the usual assortment of programs that are pretty standard for a light choice Xfce distribution. For example, no Open/LibreOffice but Abiword and Gnumeric instead. Vector has always given you browsers aplenty, and I'm sort of taken aback that this time only Firefox is included, as opposed to Seamonkey, Opera and Dillo that were usually also present, particularly as I've just decided to switch to Opera over Firefox, but of course there are always repositories and everything including looks can be changed. There are some helpful links on the desktop, leading to tutorials, Vector forums and online documentation, but unfortunately nothing is included on the disk, which means a newbie without internet connection who's encountering problems might be dead in the water. A simple text file in the home directory with some helpful tips would have been nice. Existing partitions and drives are not mounted by default and require the root password, just as all system level operations. A few things are standing out from the somewhat arbitrary collection of programs and the stuff that is part of almost every Xfce desktop regardless the distribution, like the Orage calendar. One is the sheer number of media players included, quite contrary to not offering any choice with browsers. You get three front ends to Mplayer plus Xine for video, Exaile for audio jukebox and Grip for audio CD ripping. 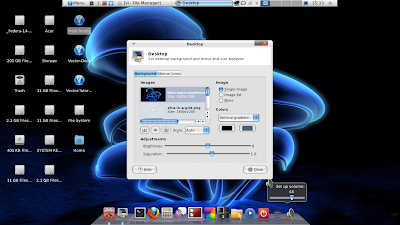 VectorLinux as usual already comes with all necessary multimedia codecs, even libdvdcss for playback of encrypted DVD's, Flash and Java pre-installed. Then there's the shortcuts to vl-Qwikpicks in all sections, which gives quick and easy access to commonly used software in that category. Not a bad idea, and it helps keep the image size down. 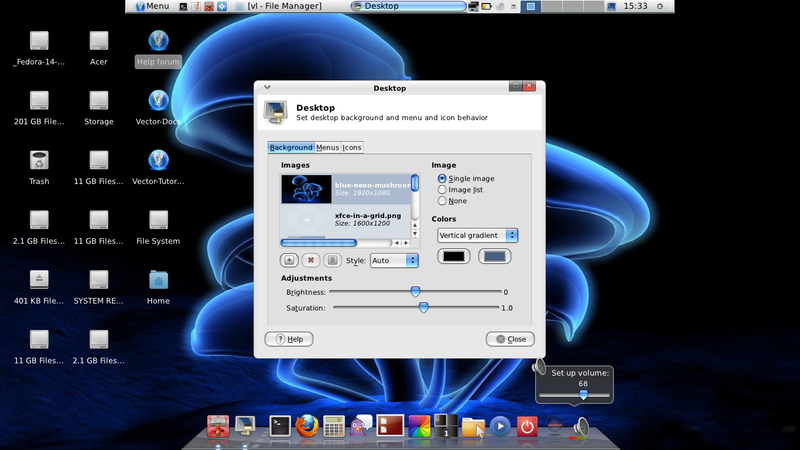 Third, a variety of tools set VectorLinux apart, although these days many other distributions, notably SalixOS as another Slackware based alternative, come with similar utilities of their own. There's a tool called vpackager in the development section that helps create compatible packages from source code. An easy way to graphically set up a firewall is included in the System section, as are tools to make a live CD from the install, set CPU frequency, and install to USB. For veterans the VASM control center is still here, but it looks really old now, just a rough front end to a collection of scripts. The inclusion of Htop and Gkrellm to monitor your system is nice as I usually have to install these later. Chestnut-dialler is there for your dial-up needs instead of the more widespread wvdial, if you still find yourself in an area without access to broadband. Quite a good collection, but it seems thrown together without much logic, purely reflecting the preferences of a small active subset of their community. On top of Qwikpicks, Gslapt is provided as the main package manager, very popular with most Slackware derivatives as it also allows for dependency resolution if the repositories have been set up this way, unlike the more basic slackpkg that keeps only core Slackware packages up to date. It seems the idea that had seen rudimentary implementation of enabling building and installation from the Arch Linux User Repositories (AUR) was quietly dropped again. I was pleasantly surprised to find my Broadcom wireless supported and detected without intervention, and I was able to connect with Wicd when still in live mode. Wicd is by the way in 1.7.1b, and it now has an option to switch off wifi. It still doesn't allow to manage dongles though which would be more important to me, but at least it is still being developed despite all rumours. My Vodafone Huawei modem stick was not detected, and although Chestnut-dialler has quite a full-featured GUI and looks like it could handle the job with enough configuration, the lack of a modem interface makes me think Vector does not support this device out of the box. Suspend worked fine as well, and Vector came back up and connected back to the wireless access point without flaw. This is where I left it. What else? For those always enquiring about Virtualbox compatibility, Vector runs fine, I would even say fast and responsive, both in Virtualbox and direct from CD. It still does not feature guest additions, and if you want to test and take advantage of the goodness in full-screen or use shared folders the prospective user will still have to install or compile these. The standard edition come with the Slackware derived ncurses installer, and if you're not comfortable with that the live edition has a graphical installer that throws up a few of its own problems, but will get you there if you have EVER partitioned and installed an operating system. VectorLinux 7.0 is certainly nice to work and play with. If you scrape below the surface, I think it's led down by a lack of attention to detail that is perhaps not immediately obvious, like the icons issue talked about in the beginning and the inclusion of some themes that don't work well with the default setup. Not a big deal, and many will also drop in their own icons, but after two years of development and three release candidates I would have expected better. It looks a bit like last minute rush, and changing something as major as the kernel version between RC and Final is somewhat unusual. That said, this release of Vector seems solid and it works. Wifi and suspend and resume worked without drama, and fast and reliable at that. Desktop effects worked as well, I did not notice any difference to Arch where I'm also running Xfce 4.8 with compositing on. By nature there's a slight lag. Ok, if you're pressing me I would say it may be even more instant in Arch, but that is just a feeling. It may just seem that little bit faster, I don't know. 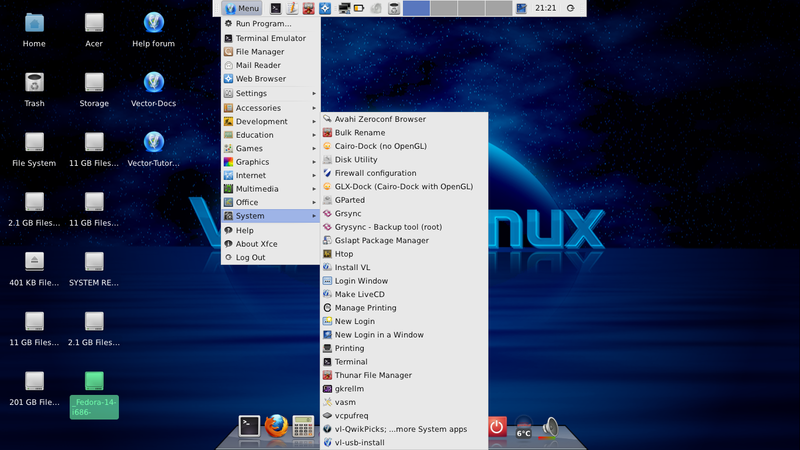 As a Slackware fan I would definitely consider running VectorLinux 7.0. Not that there is any need if you already have Slack installed and working fine, but if my Arch/ArchBang rolling release ever went bad I would have to think hard to choose between ArchBang or this Vector release. Having the x64 edition would be better though. Overall a very positive note, 8.5/10 or such, at least for my purposes. Check out opensourcebistro.com for video tutorials on how to accomplish almost anything in VectorLinux. @ Dellen You're welcome ;). I've always found the Vector community very positive in their approach, and friendly. To add to the review, the Standard edition does have a graphical installer as well as the old ncurses one. I prefer the text based one though. The live edition comes with its own graphical installer which I find more straight forward and to the point. Purely a matter of personal preference. Therefore I would choose the live edition for a graphical install. So the VectorLinux team offers three different installers at the moment. Thanks for the insights. Really appreciate the depth of the review. I always come away from one of your reviews, thinking of what can be improved or even what strengths can be built upon. Yes, light and Soho are around the corner, as I've had a chance to do some testing on both. I think people are in for a treat. 64bit it solid but is being held up as the repositories are caught up to match the offerings in the 32 bit repository. From a forum member perspective the response to this release has been fantastic. Encourage all interested to give it a try. One note, the live cd was stripped of a few things inorder to make room for the live tools. So I'm still encouraging people to use the install cd, when they decide to put Vector on their hard drive. Again, thanks. I took notes, will pass them on. Good to know, Ken. Can't wait to try them all out. I saw the video you created how to add Opera and the stripped kernel-sources back to the live install to bring it up to par with an install from the standard image. The video section is nice work by the way and should help a lot of users stuck for things like how to add the Google Talk plugin. Really nice review as always. Keep up the good work! @Barnaby. What do you suggest for an ap that would support modem sticks? Network-manager-applet works very well in distributions but it of course brings with it Gnome dependencies which may make it unworkable to keep Vector fitting on a CD. A custom solution with wvdial perhaps, some people have posted their own scripts on the internet if you search for Slackware+ wvdial+USB modem. As last idea the guys could look at Puppy "Slacko" which just worked here. I think they're using their own utility. I'm not a techie though, so I have no idea how viable any of these are for Vector, or how to implement. I am super impressed that a 64bit offering of vector linux is about to come into existence. The lack of a 64bit version is the primary reason, I steered off vector linux for so long. All my systems have like 4 gig of ram and 64bit architecture (intel core 2 duo and AMD A8 quad processor) – Using a mere 32 bit OS, limits me to only 2.5 gig RAM usage. I also sense too that my cpu cores would not be properly used for multi-tasking, etc. If I had a single core processor machine or only 3 gig RAM machine, I would still be using vector linux. It is that good. These days, archbang has slowed my distro hopping much. Mint is also very nice as is Salix (64bit offering). 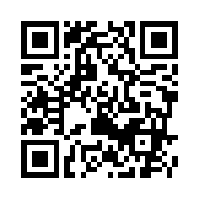 Hi Ken & Dellen, please write to me using the email on the Contact page. Thanks! This is a great distro. Unfortunately you can't register on their page because they lost the host or something like that. So, you can't log on to ask questions and learn. I have two problems with it that needs attention before I make it my sole OS. Time will tell. @ Unknown Thank you for elaborating on your problems and dislikes, very interesting. Thanks for the great review. This really helped me decide what I needed.